Built-in screens on the ceiling. 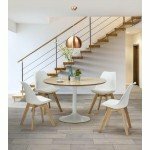 By buying this product you can collect up to 28,20 € with our loyalty program. Your cart will total 28,20 € that can be converted into a voucher. 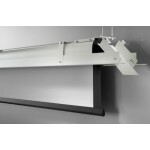 Built-in screen on the ceiling ceiling Expert motorized 250 x 140 cm - screens recessed in the ceiling. 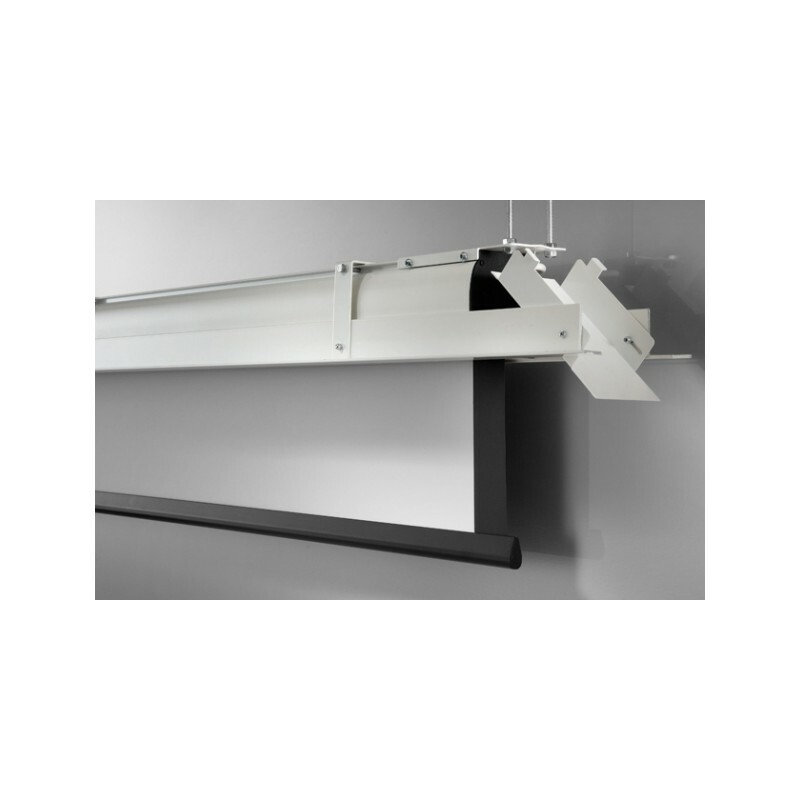 In the series 'Expert' ceiling, it comes to screens to the integration to the ceiling for professional use as in conference rooms, seminar and also for ambitious Home Theater users. These screens are characterized by a manufacturing and a qualitative special finishing, can be used with all types of projection. -Black borders on the left and right of 5 cm. -Black weight bar particularly heavy (38mm). -The sump (L x h x D) dimensions: 269 x 11.2 x 9.4 cm. 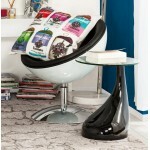 -Excellent stretched canvas to share its thickness and weight. -Power: 40 Watts, voltage: 230 Volts, frequency: 50 Hz. 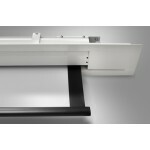 -Wall control unit included in the delivery. -Carter square elegant white (RAL 9010). -Frame elegant white (RAL 9010). 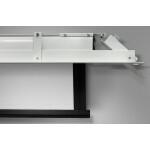 -Minimum height of mounting 12.5 cm, 110 cm max. 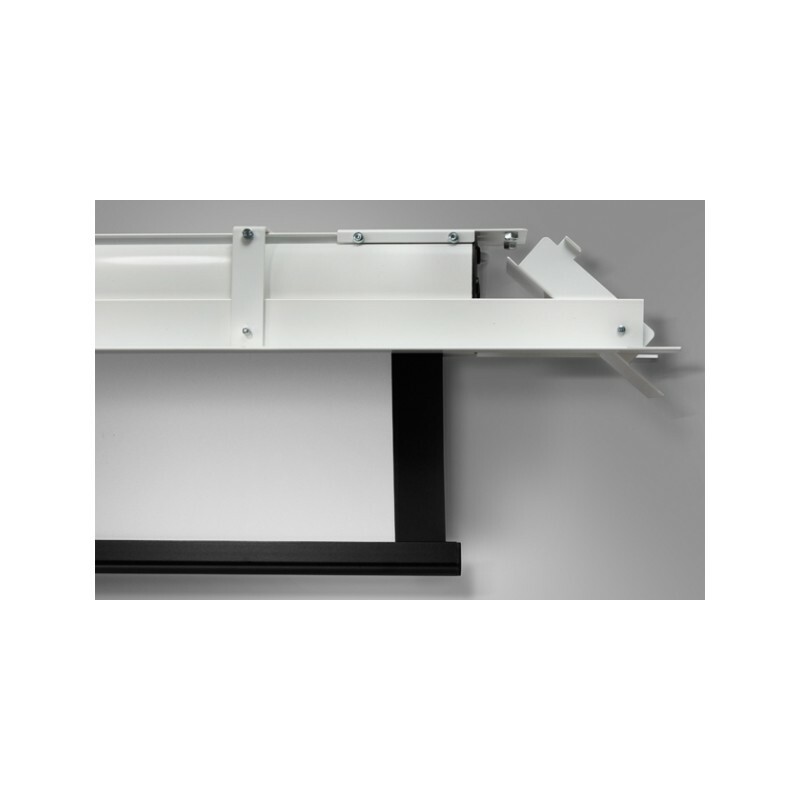 -Possibility of mounting to the wall or ceiling (including brackets). 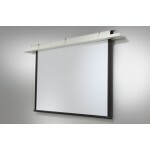 The 'Expert' screens fit perfectly in seminar, conference rooms, and of course at Home theater shows. A great manufacturing and finishing, a quality canvas, as well as both simple and brilliant editing system are the guarantee of a use which will give you total satisfaction. It is possible to control the screen with a wall (included) Steering box, or with a remote control (optional), all in silence, with a Gaposa engine. 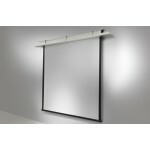 This screen can also be fixed to a wall or to the ceiling (with the included brackets). 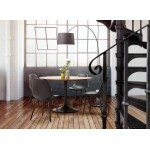 Its simple and clean Design will be the best optical effect. Installation is a breeze. Once installation is completed, access to the screen remains possible through side access doors. 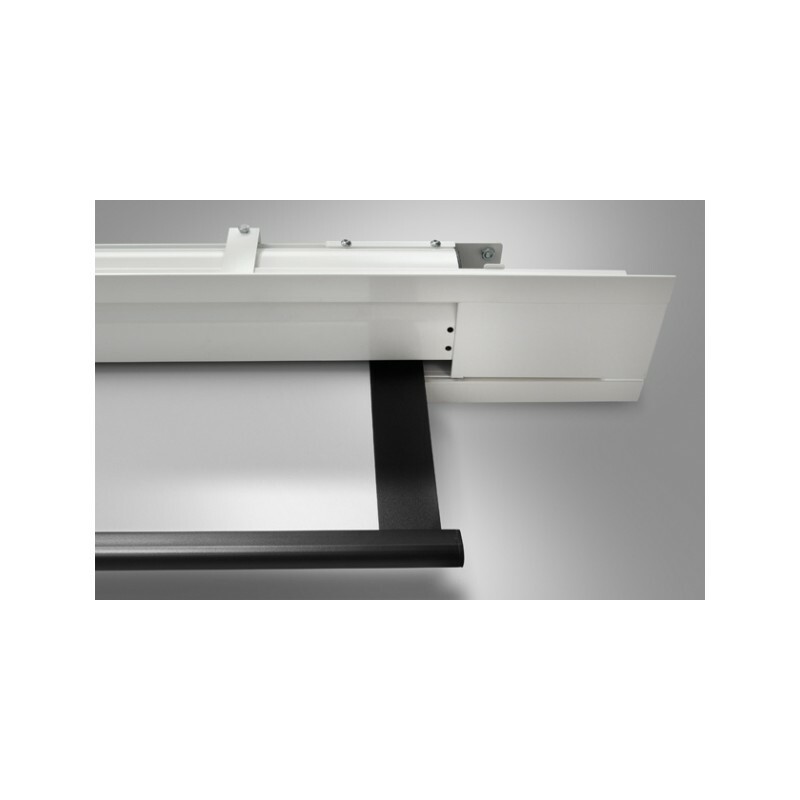 Integration to the ceiling is flexible in depth (12.5 cm to 110 cm). The integration of the device is such that it merges with the ceiling. 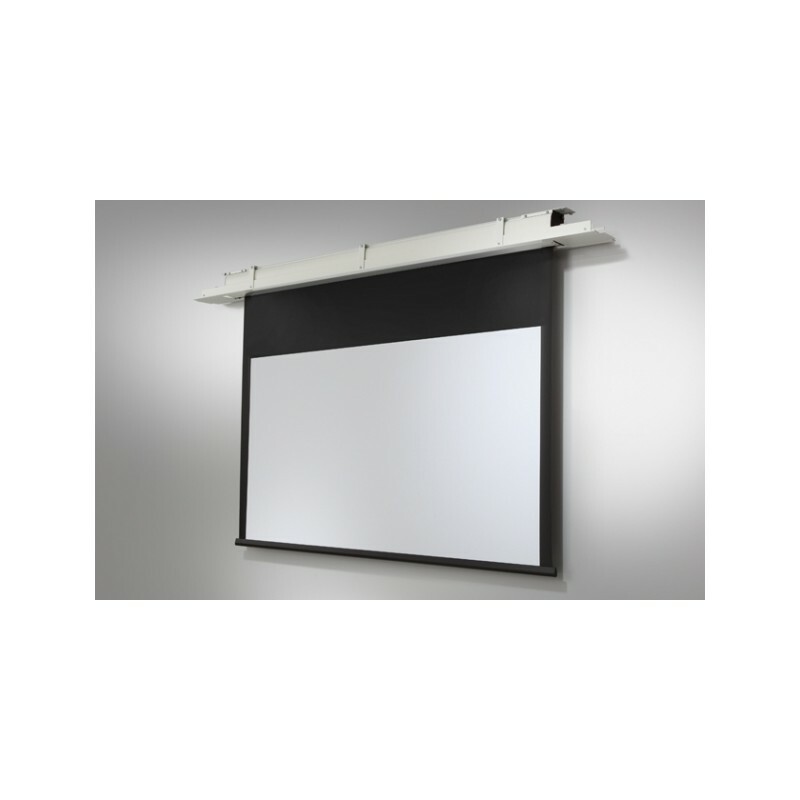 The canvas has a black edge to define the projection surface and increase the contrast. The opaque black back prevents light leaks. Thus, the screen can be fixed in front of a window. The display is controlled using the case management or a remote control, is set to will, and can marry other formats in addition to the 16:9 like the 21:9. 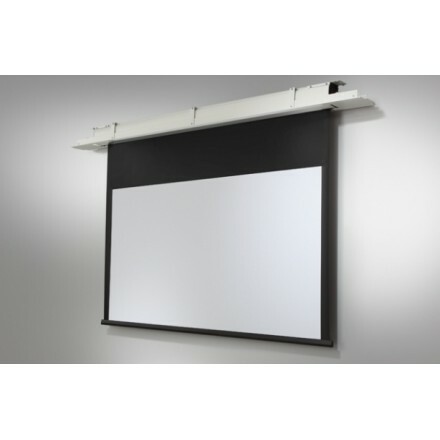 Included in delivery: the projection screen to strictly speaking (including the cables to the wall box), the integration framework, a wall box, as well as the instructions for mounting and use. The UHF remote and the 12V Trigger kit are optionally available. The shop techneb shop, is also a range of objects that can be used for advertising, media of communication to your customers, your suppliers, your partners. 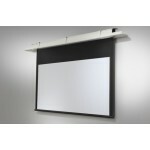 New technologies and gadgets at the service of your seminars, exhibitions, conferences or any type of event.